For loved ones, patients and caregivers alike, dementia can be a difficult and scary disease to live and work with. We decided several weeks ago that it would be helpful to share our knowledge of dementia in an effort to help others who may be suffering or helping a loved one live with dementia. This week we will cover the final most common form of dementia, Alzheimer’s. All of our past blogs are archived so if you would like to view our blogs regarding the other two common forms of dementia, vascular and Parkinson’s, please click here. With nearly 44 million people worldwide suffering from Alzheimer’s the cost for caring for Alzheimer’s globally tops $605 billion. In the United States alone, Alzheimer’s sufferers paid nearly $226 billion in healthcare costs this year. Furthermore, according to the Alzheimer’s Association, the disease is the 6th leading cause of death in America. In fact, Alzheimer’s is the only cause of death in the top 10 leading causes that cannot be prevented, cured or slowed. Much like other forms of dementia, the key to having an upper-hand in the fight against dementia is having knowledge of symptoms, how to reduce you or your loved one’s risk through diet and healthy living and of course early detection. In the remainder of this blog we will cover each of these in detail. Alzheimer’s disease is the most common type of dementia. The initial stage of Alzheimer’s starts with memory loss. Then as it progresses the next parts of the body to be affected are the emotions and inhibitions. Additional symptoms can include confusion, anger, mood swings, language breakdown and long-term memory loss. There are many causes of the disease including family genetics. Some particularly susceptible demographics are those over the age of 65, with down syndrome or those that suffer from obesity. Like we mentioned earlier, once the disease has set in, there are no ways to cure it. However, there are many steps you can take to help reduce your risk of Alzheimer’s. Maintaining a healthy lifestyle and diet, as well as participating in brain strengthening exercises lowers your risk. Brain strengthening activities include: board games, reading, playing instruments and dancing. Although there is no cure to Alzheimer’s there are an abundance of clinical trials and treatment options. These include sensory therapy and alternative medication. Caring for a person with Alzheimer’s disease involves specialized services that differ from other types of senior housing. What is the best type of care for a loved one with the disease? 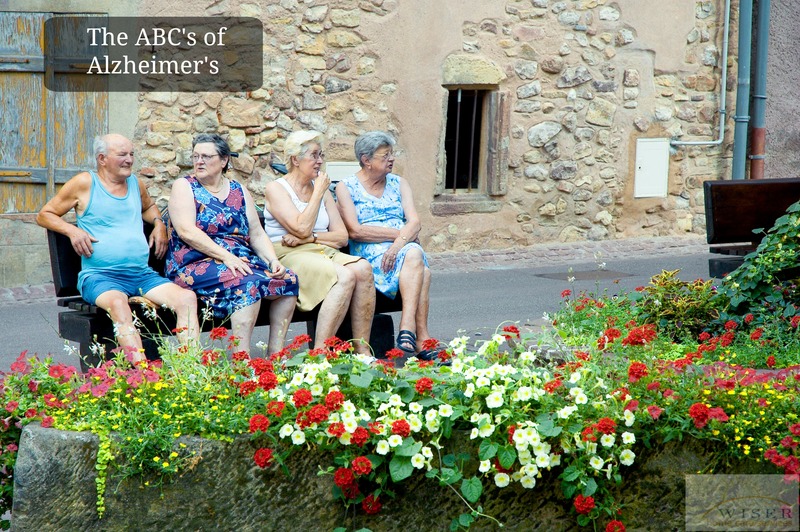 Alzheimer’s care is delivered in an assisted living or nursing home setting usually in a separate floor or unit. Generally, the residents live in semi-private apartments and have structured activities delivered by staff members trained in Alzheimer’s and dementia care. Most of these living environments have secured areas to prevent wandering, a common symptom of the disease. Often, residents have access to outdoor walking paths or gardens which are within secured areas. Make sure to ask if there is specialized care offered for residents with Alzheimer’s disease or other forms of dementia. Wiser Home Care Services works with all medical professionals involved to develop a consistent plan of care.